The office of Governor is required by the New South Wales Constitution Act, 1902. The Australian monarch, on the advice and recommendation of the Premier of New South Wales, approves the appointment of Governor with a commission issued under the royal sign-manual and Public Seal of the State, who is from then until being sworn-in by the Premier and Chief Justice referred to as the Governor-designate. The incumbent will generally serve for at least five years, though this is only a developed convention, and the governor still technically acts at Her Majesty's pleasure (or the Royal Pleasure). The premier may therefore recommend to the Queen that the viceroy remain in her service for a longer period of time, sometimes upwards of more than seven years. A governor may also resign and three have died in office. In such a circumstance, or if the governor leaves the country for longer than one month, the Lieutenant Governor of New South Wales, concurrently held by the Chief Justice of New South Wales since 1872, serves as Administrator of the Government and exercises all powers of the governor. Furthermore, if the Lieutenant Governor becomes incapacitated while serving in the office of Governor, the next most senior judge of the Supreme Court is sworn in as the Administrator. Between 1788 and 1957, all governors were born outside of New South Wales and were often members of the Peerage. Historian A.J.P. 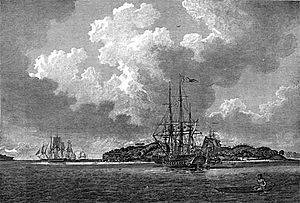 Taylor once noted that "going out and governing New South Wales became the British aristocracy's 'abiding consolation'". 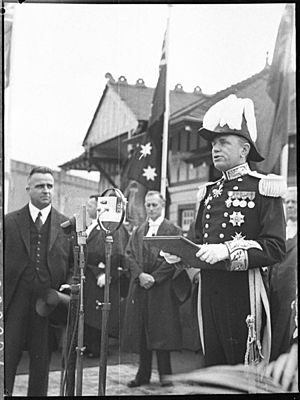 However, even though the implementation of the Australian Citizenship Act in 1948 established the concept of an independent Australian citizenship, the idea of Australian-born persons being appointed governor of New South Wales was much earlier. Coincidentally the first Australian-born Governor, Sir John Northcott on 1 August 1946, was also the first Australian-born Governor of any state. However, as Northcott was born in Victoria, it was not until Sir Eric Woodward's appointment by Queen Elizabeth II in 1957 that the position was filled by a New South Wales-born individual; this practice continued until 1996, when Queen Elizabeth II commissioned as her representative Gordon Samuels, a London-born immigrant to Australia. The Governor alone is constitutionally mandated to summon parliament. Beyond that, the viceroy carries out the other conventional parliamentary duties in the sovereign's absence, including reading the Speech from the throne and the proroguing and dissolving of parliament. 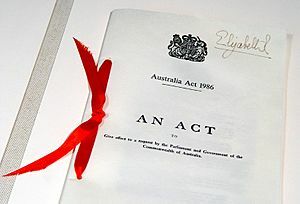 The governor grants Royal Assent in the Queen's name; legally, he or she has three options: grant Royal Assent (making the bill law), withhold Royal Assent (vetoing the bill), or reserve the bill for the Queen's pleasure (allowing the sovereign to personally grant or withhold assent). If the governor withholds the Queen's assent, the sovereign may within two years disallow the bill, thereby annulling the law in question. No modern viceroy has denied Royal Assent to a bill. With most constitutional functions delegated to Cabinet, the governor acts in a primarily ceremonial fashion. He or she will host members of Australia's royal family, as well as foreign royalty and heads of state. Also as part of international relations, the governor receives letters of credence and of recall from foreign consul-generals appointed to Sydney. When they are the longest serving State Governor, the Governor of New South Wales holds a dormant commission to act as the Administrator of the Commonwealth when the Governor-General of Australia is absent from Australia, a role most recently held by Governor Bashir. The governor is also tasked with fostering unity and pride. 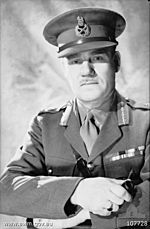 He or she will also induct individuals into the various national orders and present national medals and decorations, however the most senior awards such as ACs or the Victoria Cross are the sole prerogative of the Governor General. The governor also traditionally serves as Honorary and Regimental Colonel in the Royal New South Wales Regiment and as Honorary Air Commodore of No. 22 (City of Sydney) Squadron, Royal Australian Air Force. 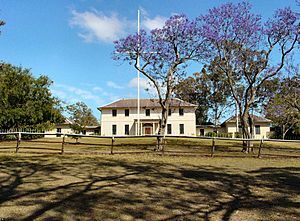 Since 1946, the governor has also always been made the Chief Scout of New South Wales. The six British colonies in Australia joined together to form the Commonwealth of Australia in 1901. New South Wales and the other colonies became states in the federal system under the Constitution of Australia. 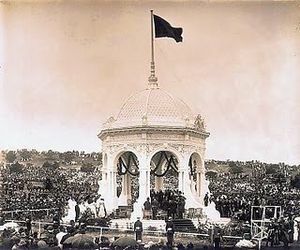 In 1902, the New South Wales Constitution Act 1902 confirmed the modern system of government of New South Wales as a state, including defining the role of the Governor as the monarch's representative, who acts by and with the advice of the Executive Council. 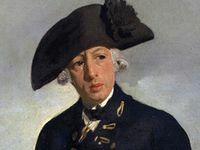 Like the new federal Governor-General and the other state governors, in the first years after federation the Governor of New South Wales continued to act both as a constitutional head of the state, and as a liaison between the government and the imperial government in London. However, the British government's involvement in Australian affairs gradually reduced in the next few years. 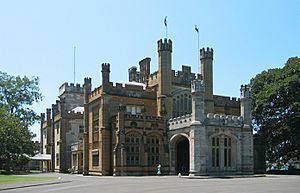 Government House, Sydney, as the residence of the monarch, is the traditional official residence of the governor. The Governor's present day office is the historic Chief Secretary’s Building nearby, at 121 Macquarie Street. In October 2011, the new premier, Barry O'Farrell, announced that the governor, now Dame Marie Bashir, had agreed with O'Farrell's offer to move back into Government House: "A lot of people believe the Governor should live at Government House. That's what it was built for ... [A]t some stage a rural or regional governor will be appointed and we will need to provide accommodation at Government House so it makes sense to provide appropriate living areas". However, because Government House has not been a residence for fifteen years, O'Farrell also announced that the Governor will initially move into a smaller adjacent building, called the chalet, while refurbishments of the main wing occur, with a proposed move into the main house "before Christmas". Governor of New South Wales Facts for Kids. Kiddle Encyclopedia.